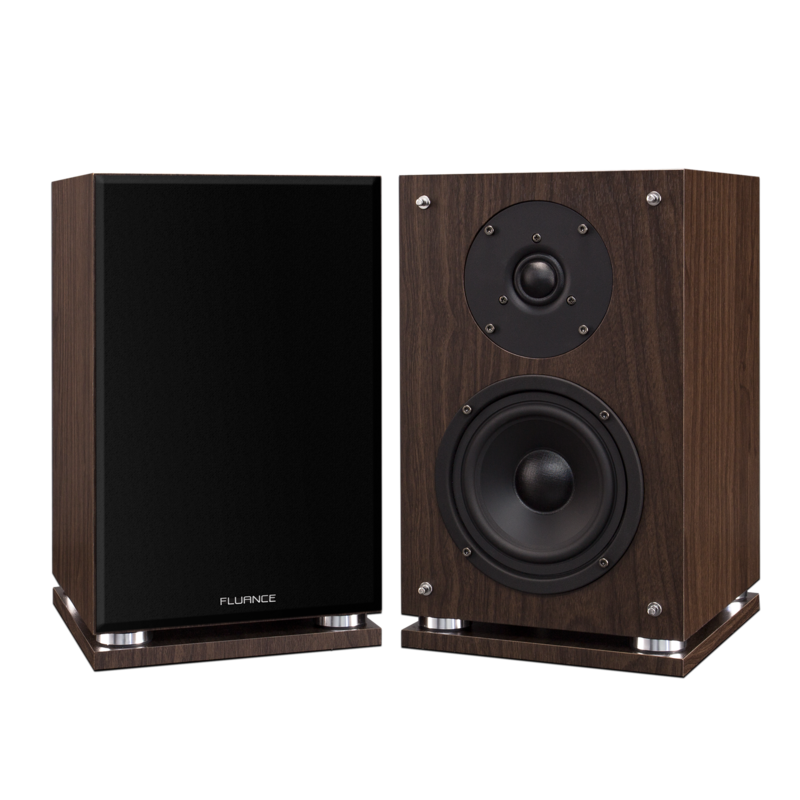 Featuring a contemporary design and exciting audio performance, the SX6 is a flawlessly made two-way speaker system. With remarkable reproduction of even the finest details, the SX6 is a highly accurate and intensely musical system with broad frequency response and low distortion. 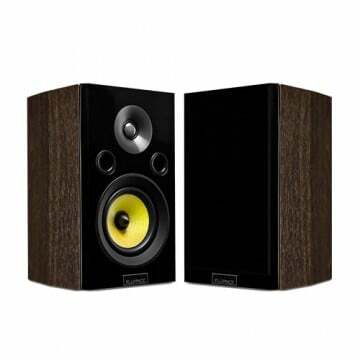 While digital audio formats demand a new level of performance, these speakers are built for the task! With superb sound radiation and rich timbre, the SX6 is perfect for music and home theater applications. Even at high volume levels, the acoustic image remains free from cabinet vibrations and driver resonances. The bookshelf design allows for multiple placement options, and in a home theater surround sound application, the SX6 speakers produce exceptional sound, and can operate as front main or rear surround speakers. Thanks to its distinct design and premium natural beech finish, this system harmonizes perfectly with modern living areas. By virtue of the tuned bass reflex cabinet, the SX6 produces an outstanding and precise performance for its compact design. Only premium components such as high-end tweeters - rare in speakers at this price - and high-performance magnets are used in this system. The result is a pure listening experience that represents a new standard in audio accuracy, craftsmanship and quality. Premium veneer woodgrain finish to compliment any home decor. I bought these as the main speakers for an old all in one stereo system from 1968 called The Fisher 125. I had the stereo system itself electronically restored and these speakers sound fantastic with it. I mounted them on a pair of tripods as they do have rear ports so mounting them in a bookshelf didn't make much sense. The highs are a bit harsh but i would definitely buy these again if they were stolen! just have to dial the treble back a bit on your amp. Dont see a need for a subwoofer either they bump! Quality build and sound at a great price point. Ordered these after reading many good reviews and I can say these speakers are a great buy with a quality build, look and performance. I bought the RT81 turntable and 2 of the SX6W bookshelf speakers after doing some research and asking a few questions to Fluance sales staff who were prompt and very helpful. The shipment was received the next day after ordering online, with no issues at all. Excellent customer service and great product from a Canadian company. I expect to be doing more business in the future. I picked up my dad's 70s turntable, reciever, and tuner, but the 70s speakers needed replacing.. Got the sx6's and after burning them in for a day, they sound amazing! The walnut finish goes great with the rest of the vintage setup as well! 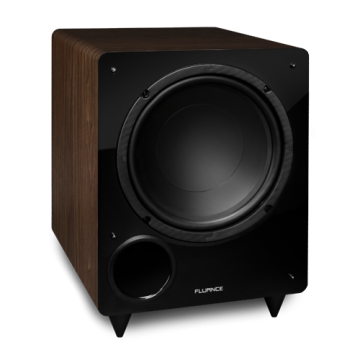 There WILL be more speakers from fluance in my house in the future! I really wanted to love the SX6, and I do...but I don't. I really wanted to love the SX6, and I do...but I don't. After the 10-hour break-in period, the woofer really starts to shine and I was able to go without my subwoofer and I didn't feel like I was missing anything. The problem lies with the tweeter; I'm not sure if it's my ears or something in my setup, but the highs were unbearably harsh and extremely fatiguing. I had to find a DSP that a reviewer created to dial the highs down to reasonable levels. I love the potential the SX6 has, but it's execution, at least for me, was far from ideal. These are very crisp sounding speakers! Highly impressed with the fit and finish on these speakers really seems like the quality is high for such a well priced set. After giving them 10 hours of use to get maximum performance the sound is outstanding with highs being clear and precise vocals are true to life. The mids and bass are also present with no signs of distortion or muddyness. Would recommed you pair these with a great subwoofer to help get a bit more punch out of the lows. Deffinately worth ever penny spent.